Here is another one of our antique pieces-a very old marble top French chest. This piece could serve a variety of functions in any home. 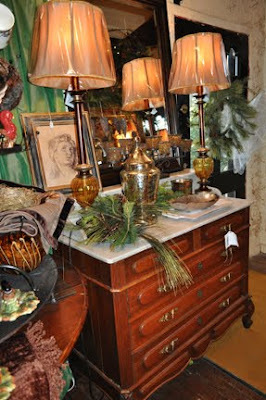 A buffet in a kitchen, a beautiful entry piece with lamps, or a chest in a bedroom. It's patina is so pretty and the price is quite nice!